Taekwondo Martial Arts in Northants Northamptonshire Northampton Raunds Kettering Wellingborough Grange Park Upton Wollaston. 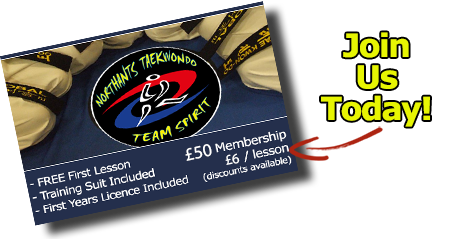 Welcome to www.Northants-Taekwondo.com. Based primarily in Northants in Northamptonshire, we run schools in Northampton and Raunds. We are part of the GTUK, whose President is Grand Master Roy Oldham IX Degree. We are also full members of the British Taekwondo Council (BTC). Other GTUK schools in the local area include Kettering, Wellingborough, Grange Park, Upton and Wollaston. We offer students the opportunity to learn the well known and respected Martial Art Taekwondo. And learn street useful self-defense techniques, compete in sporting tournaments and generally be more confident.